New Wash is changing the hair care game. Get on board! The holistic/all-naturalists had gone pretty wild over the past few years with their array of alternative hair care regimes. You have the apple cider vinegar rinsers, the wash-once-a-monthers, the dreadlockers, the weekly baking-sodas, the co-washers (only using conditioner), the head shavers, the root-to-tip oilers, the “no-poo” methoders, (sans shampoo), the never-ever wash againers, and the cold-water warriors. Being a strong believer in simply acquiring the right hair care products, these extreme (and often unsuccessful) methods were really starting to rub me the wrong way. Annoyingly, everybody seemed to jump on the band wagon without doing much of their own research, or giving thought to their particular hair type and how it would affect them. This created really ridiculous trends time and time again, which didn’t help in the long-term, and resulted in newer, more ridiculous methods to pop out of the woodwork. This went on and on until the internet seemed to be foaming with misinformation and hair care regimes which actually did more harm than good. One of the most frustrating things about the whole shampoo rebellion, is the advocates usually had all the right intentions, just the wrong information and a weirdly obsessive solution to follow. It’s just as bad to over-wash your hair as it is to under-wash. The use of certain solutions, such as vinegar rinses, can disrupt the scalps pH balance and cause hair to become dry and brittle. Baking soda, popularly used to re-adjust the pH balance after a vinegar rinse, also contributes to dry and brittle hair. On the other end of the spectrum, the sudsing chemicals such as Sodium Lauryl Sulfate, used in 99.9% of hair cleansing products, actually strip the hair and scalp of it’s natural oils. Although these chemicals are highly effective in cleaning, it’s much too harsh, causing an over-production of oil at the roots (resulting in the need for more shampooing), and dries out the hair follicles making them more susceptible to breakage, frizz, and dullness. So where’s the product that cleanses the hair without causing an imbalance or damage? Quite simply the formula hasn’t existed until now. That’s where Michael Gordon comes in, who happens to be the founder of the Bumble & Bumble brand. Unaware of the hair empire that would follow, Michael set up shop in 1997, which has left him with an international legacy. Having sold the company on to Estée Lauder in 2000, he took time to think, meditate and research his passion. It was during the filming of his industry-classic documentary about Vidal Sassoon when the idea for this product line dawned on him. 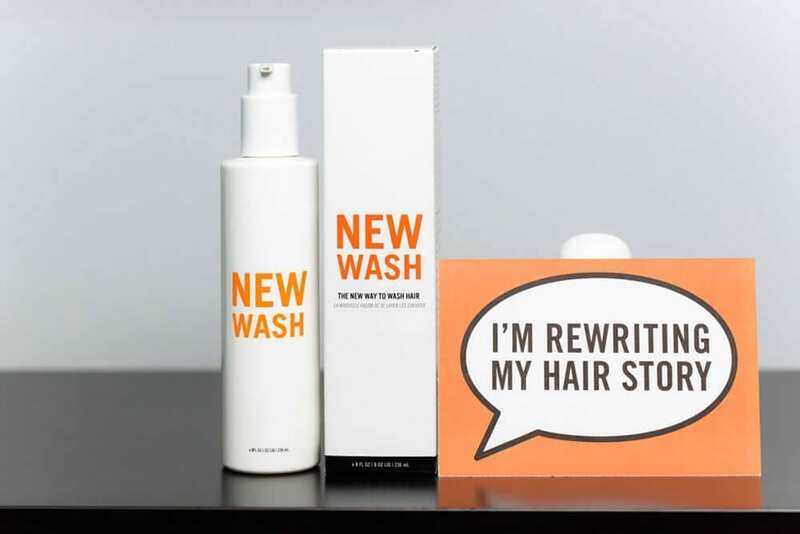 From all of this, came the mother of all products known as New Wash.
Michael created Hairstory, the online media outlet and physical space where independent hairstylists can learn Hairstory methods and even cash in on sales of the brand’s four products, which also include an air-drying balm, a blow-dry cream, and a texturizing spray. It’s the wash we really care about though, as it’s the main game changer. 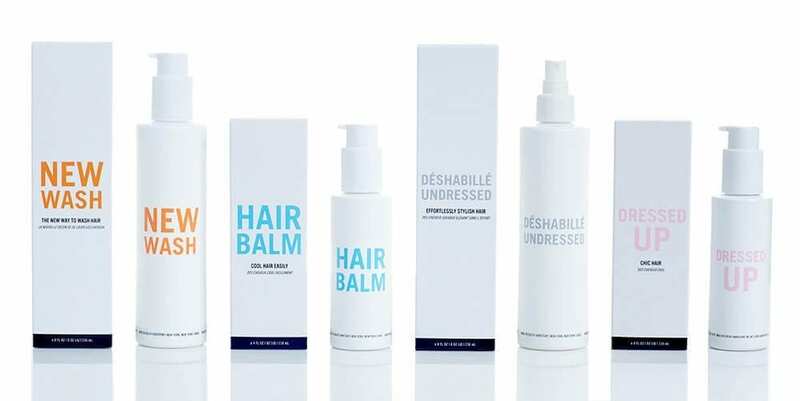 The aloe-based formula allows you to condition, detangle and repair your hair using only one product. Your shower is tidier, and your regimen simpler. Your hair becomes happier, and you do to! 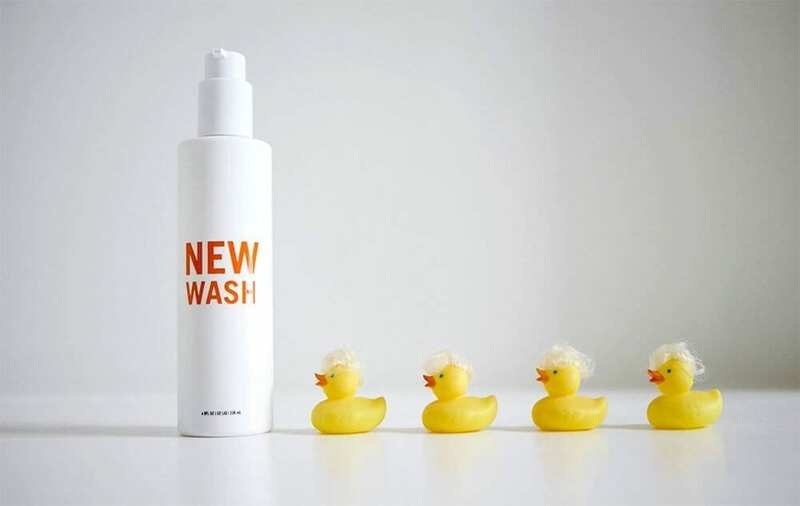 New Wash cleans hair with a proprietary blend of essential oils and naturally derived saturated cleansers – no detergents or synthetic compounds. It conditions hair at the same time, and leaves it tangle-free. Over time, it revives hair abused by detergent, damaged by bleach, and fried by heat styling. If that wasn’t enough, colour lasts far longer, and troubled scalps become so much healthier. “I’ve gone from using shampoo and gobs of conditioner, plus a styling balm, plus a mask at least once a week, to using only New Wash. I comb it through in the shower and the comb glides effortlessly through. My scalp feels tingly and clean, and my hair looks and feels shiny, soft and healthier than ever.” – Kristen Philipkoski, Forbes contributer. New Wash contains absolutely no Sodium Lauryl Sulfate, is environmentally friendly, gentle on hair strands and nourishing to both the scalp and follicle. The formula has been so carefully created that it’s even been re-branded, reformulated and re-released multiple times. Now, the ingredients are practically perfect in every way. It’s tried and tested history is evident in it’s current effectiveness and popularity.